Android gives us one of the best platform for creating apps and games for Android users and it also gives us an open marketplace for distributing to hundreds of millions of mobile devices in almost 190 countries around the globe instantly. You won’t believe but it’s true that every single day we spend on earth; more than 1 million new Android devices are activated. Comes to developer point of view – Android is getting better day by day and year on year since its inception. 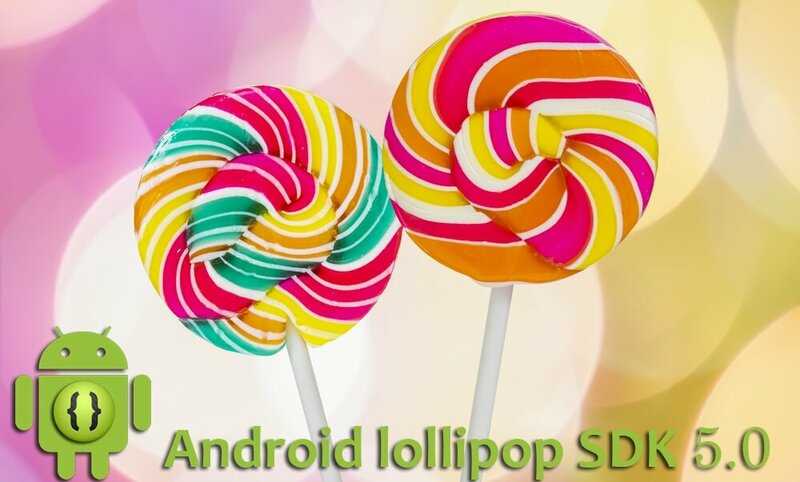 Today, we could see that it reaches to the latest release of Android Lollipop version 5.0 along with a powerful development framework – SDK 5.0. What comes in SDK 5.0 for developers? Android 5.0 SDK comes with Android Extension Pack, an OpenGL ES extensions to accelerate performance of 2D and 3D graphics. Using Android Extension Pack you can deliver high performance graphics to games and other apps across a range of GPUs. Integrating new design patterns in your app is possible with expanded UI toolkit “Material Design”. This allows developer to keep animation smooth with system generated processing thread named RenderThread as well gives a seamless experience to end user with beautiful animated motion using activity transition. It also has new 3D views and realtime shadows to bring lives to objects. The most discussed feature in this version is “Building battery efficient apps”. With a new job scheduling APIs called “Project Volta” gives us liberty to optimize battery life for the system to run under specific conditions. You can use battery usage statistics generated by command “dumpsys batterystats” to understand system wide power consumption and the impact of the app on device battery. Android Lollipop runs exclusively on ART runtime which is built from ahead of time, just-in-time and interpreted code. Its offers 64 bit architecture support to distribute computing workloads. The NDK support is extended to new ABIs while using native code. It offers improved A/V sync for more accurate timestamps for video and games for smooth run. Android TV Input Frameworks allows video stream from HDMI, TV tuners and IPTV receivers using HMDI CEC to control multiple devices using single remote. It’s all possible now with leanback UI framework to support interactions with game controller and input devices. From an older version of “recents”, Google has reintroduced a better and improved version to access and show separate activity in your app. This feature allows app to query available networks. By using NFC APIs one can register an NFC application ID (AID) dynamically and set preferred card emulation service per active service. Using Bluetooth Low Energy, an app can perform concurrent operation. It comes with all new audio APIs for fast capture thread, multichannel audio stream mixing and giving more control over text to speech synthesis. New media session API offers consistent media playback. With all new Camera API, you can now capture new formats, control ISO sensitivity to capture uncompressed full resolution YUV images. Android 5.0 support multimedia tunneling to provide the best experience for ultra-high definition content and the ability to play compressed audio and video data together. With tilt detector sensor one can recognize activity on supported devices, and a heart rate sensor reports the heart rate of the person touching the device can bring help to healthcare service sector. New interaction composite sensors can detect interactions like wake up gesture; pick up gesture as well glance gesture. With these entire new features, a developer can build an interactive wearable solution to amaze the user. A mobile development company can use lot of new features comes in Android SDK 5.0 as a part of user engagement strategy. There is lot more can happen using SDK 5.0 in the field of Augmented Reality, Wearable apps and high definition games to connect large screen TVs.